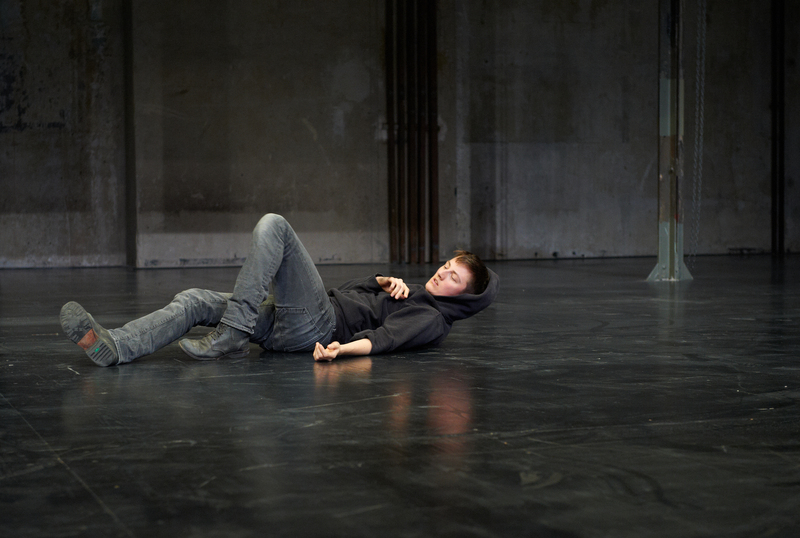 An Kaler will be presenting Insignificant Others (learning to look sideways) on 16th of October 2013 at RMNSC Krakow and on 22nd of October 2013 at STUK Leuven. What are ways of distributing, or partitioning, or fragmenting presence when being together? Insignificant Others examines the Tableaux as a shifting structure that diplays the process of the performers co-operating in modes of conducting, structuring and shifting a shared topography of physical presence and absence in fragmented cycles of movements. The performers are as spectres and carriers of ambiguous images, still and fluctuating. A series of discontinuous but interconnected still postures that make images and situations between the performers but never quite build a shared narrative. Rather than a dramaturgy of determination, the artists are simultaneously working alone together as if in a field of energy that needs careful management, redistribution and direction, here they are making a dance out of the reabsorption of this energy field into the bodies of the empty space, themselves and the perception of audience. Harboured in that which is deemed unaffirmative pure potential is what is performed. The second part of CoFestival will take place between 21 and 27 September 2013. This second round of the festival organized by Kino Šiška Ljubljana will be launched by the 3D film PINA by the German cineaste Wim Wenders, a sensitive homage to the unforgettable dancer and choreographer Pina Bausch. The film will be followed by the already traditional FičoDrom, intended for everybody who misses opportunities to dance. Programme highlights include the first public presentation of Jurij Konjar’s piece Still (23 Sep at 9pm, Kino Šiška), the show Au contraire (based on Jean-Luc Godard) by the prize-winning Geneva-based artist Foofwa d’Imobilité (24 Sep at 9pm, Stara mestna Elektrarna), The Seagull directed by Tomi Janežič and produced by Novi Sad Serbian National Theatre (25 Sep and 26 Sep at 6pm, Kino Šiška). All shows will be followed by artist talks. The Festival also promises the Vertigo dance workshop run by Eduardo Torroja, a member of the renowned Belgian group Ultima Vez, a research-art project of the Frankfurt-based dancer and choreographer Lili Mihajlović, and visiting artist Antje Pfundtner. During the festival, the daily programme will be complemented by the festival team joined by many international artists having a go at The Art of Co-Living, a programme running in the Museum of Contemporary Arts as part of the Triennial of Contemporary Art. For detailed information visit www.cofestival.net. About the first part of CoFestival. For the opening of the 4th modul-dance conference at Tanzhaus NRW, the chef Pierre-Yves Lamaison and the modul-dance selected artist Coraline Lamaison lead a joint cooking session after selecting some international recipes proposed by the project artists and partners. All the attendees cooperated to get everything ready for dinner. The dinner was celebrated with Antje Pfundtner. This is the second time that HELLERAU-European Center for the Arts will be putting on show the signature styles of up-and-coming European choreographers. The festival will be presenting both finished works and some which are still being created, with lectures, workshops and a wide range of films rounding off the programme. Click on here to discover the complete programme.